What is Acute Gastro Enteritis? Gastroenteritis is irritation and inflammation of the gastrointestinal tract that involves the stomach and the small intestines. Gastroenteritis generally results in acute diarrhoea, vomiting, stomach aches and swelling of the stomach. Venkata needs to be in the ICU for the next week and requires complete medical management in order to be treated and recover. 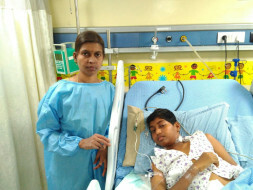 The total cost of treatment is around 8 lakh Rs. The disease has affected Venkata's liver and kidneys and the condition is only getting more aggressive with time. 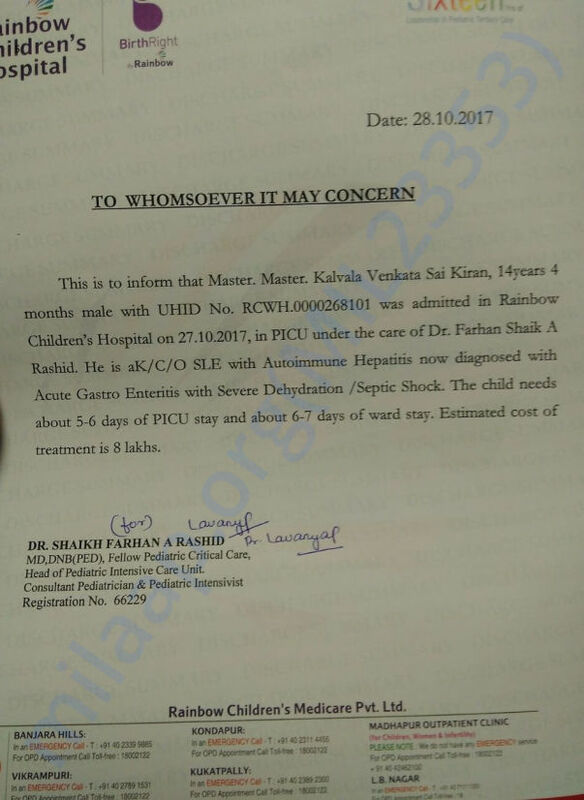 He has been hospitalized thrice in the last four months – each time his condition more critical than before. 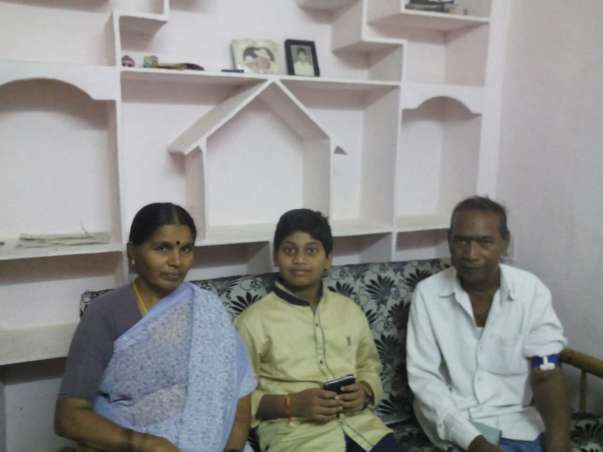 His mother has managed the expenses by borrowing from Venkata's grandparents. Unfortunately, Venkata's mother Swapna does not have the funds to afford the treatment for her son and is worried that she would not be able to help her son without the funds. Swapna was heartbroken but slowly put her life back together for Venkata's sake. She got a job and started staying with her parents. Your contribution can help Venkata get the treatment he deserves. Here's an quick update on Venkata. Venkata got discharged and is doing well. He is on Regular medications and is asked to come for regular follow ups. Here is an update on Venkata's health. Venkata is discharged from the hospital and now he is doing better. Now, he is active, afebrile and the blood flow is stable. He will be taking medicines as prescribed by the doctors. Also, doctors have suggested the parents to be more careful about the diet. Venkata will have to visit the hospital for routine check ups.